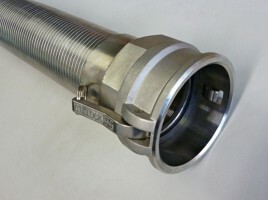 Abrasive resistant PU Ducting hose suitable for extracting and transferring woodchips, sawdust, grains and pellets for timber processing and animal feed industries. 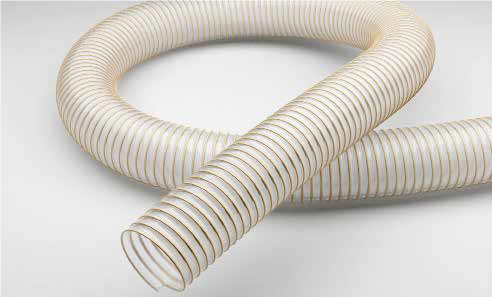 Flexiducting NZ are leading suppliers of flexible Polyurethane ducting which is stronger than PVC ducting. 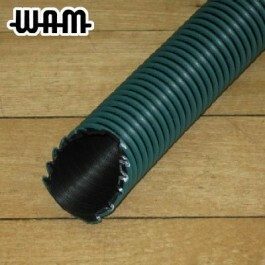 A clear flexible ducting with a spring steel helix, suitable for suction and blowing applications. A strong flexible abrasion resistant PU Ducting, suitable for transferring all dry bulk materials such as for woodchips, sawdust for the New Zealand timber processing and forestry industries, and other products such as animal feeds, grains, pellets and urea. Available in food grade PU with stainless steel helix.